Up to 60% of our body is composed of water. That is why experts suggests that people should drink at least 8 glasses of water per day to replenish our body and keep it hydrated throughout the day. If you need an incentive to drink more water, keep reading to discover 7 of the incredible benefits of drinking water. If you drink around 8 glasses of water a day, your skin will be well hydrated and will be naturally cleansed of toxins, which means that your skin will look healthy and clear. As an added benefit well hydrated skin, will decrease the visibility of any lines or wrinkles which you may have. If you don’t drink enough water your blood will become thicker and as a result your blood pressure may rise slightly. Which is a huge issue if you already have high blood pressure and are looking to control your blood pressure. Your digestive system relies on water to work efficiently. If you don’t want to suffer from issues associated with your digestive system such as constipation, it’s well worth ensuring to drink 8 glasses of water each day. 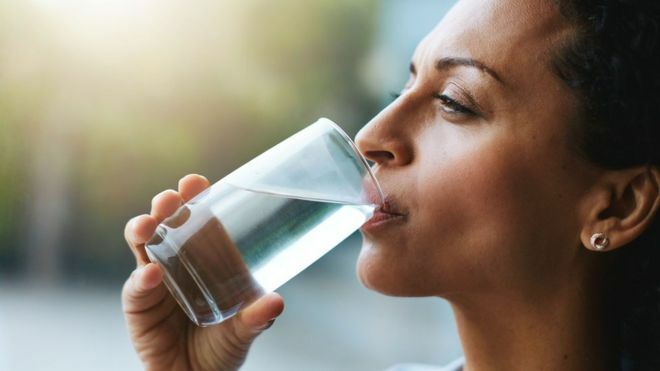 By drinking water on a regular basis, you’ll be able to prevent your stomach’s acidity levels from increasing, which means that you’ll be far less likely to suffer from symptoms of heartburn. As a bonus you’ll also be less likely to develop nasty stomach ulcers. You may not have heard, that when you’re dehydrated the mucus in your lungs thickens and become sticky which cause an airway obstruction. However, if you consistently drink water throughout each day, your airways won’t be restricted and you’ll be able to breathe clearly. If you suffer from asthma or allergies such as hay fever it’s even more important to drink water throughout each day, in order to ensure that you don’t have further difficulties breathing as a result of not consuming enough water to keep your airways clear. Did you know that the nutrients and minerals contained in the food and drinks that you consume which are essential for your body to work efficiently are absorbed by your body when they are dissolved in water? Better yet, when minerals and nutrients are absorbed by water, they can be easily transferred through your bloodstream to the different parts of your body which rely on specific nutrients and minerals. Your kidneys are responsible for regulating the fluid which you consume. If you don’t drink enough water each day, you’ll run the risk of developing kidney issues and may even develop painful kidney stones. Which are hard to get rid of. So if you want to keep your kidneys healthy, make sure to drink water often. Hopefully after reading all of the 7 benefits of drinking water, you’ll make a more concentrated effort to keep hydrated on a daily basis!